Over the years we have often asked the special education administrators we work with what their biggest job-related challenge is. Given the diverse set of districts that we work with, the answers always have a fair amount of variation — indeed, the challenges facing a supervisor in an urban mega-district are different than those of the admin who oversees a collection of rural one-room schoolhouses. 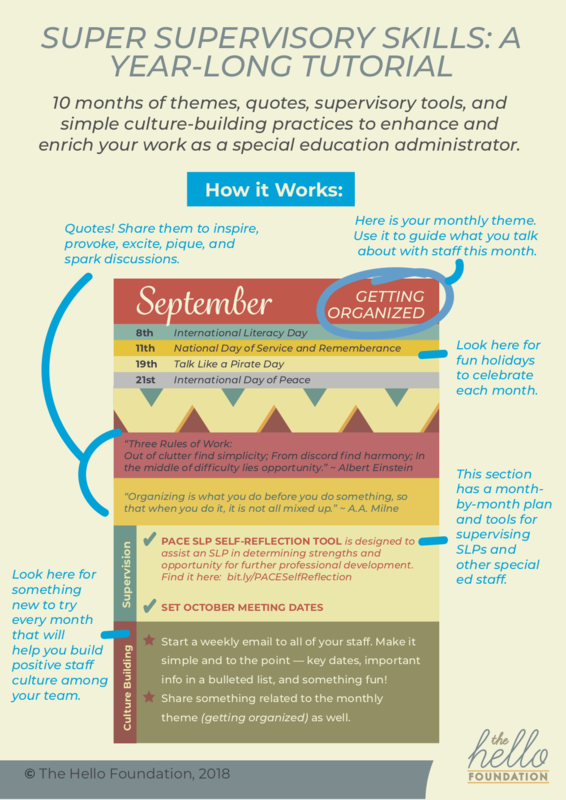 Surprisingly, though, there is one consistent theme that we hear across the board: staff culture. Seems that most everyone wants to know to build it, sustain it, correct it, enhance it, and nurture it. Culture is challenging because it is nebulous and squishy. It is the stuff that sometimes feels like “extra” because it doesn’t have Federal and State dollars attached to it. And because it isn’t easily measured and we don’t have compliance deadlines associated with it, culture-building practices slip to the bottom of the (very, very long) to-do list with the greatest of ease. Even with the best intentions, who has time to research and plan all of that stuff? Please meet our newest resource for special education administrators: the Super Supervisory Skills Year-Long Tutorial. So, just like that, your research and planning are done. High five! Now, implementation is up to you. 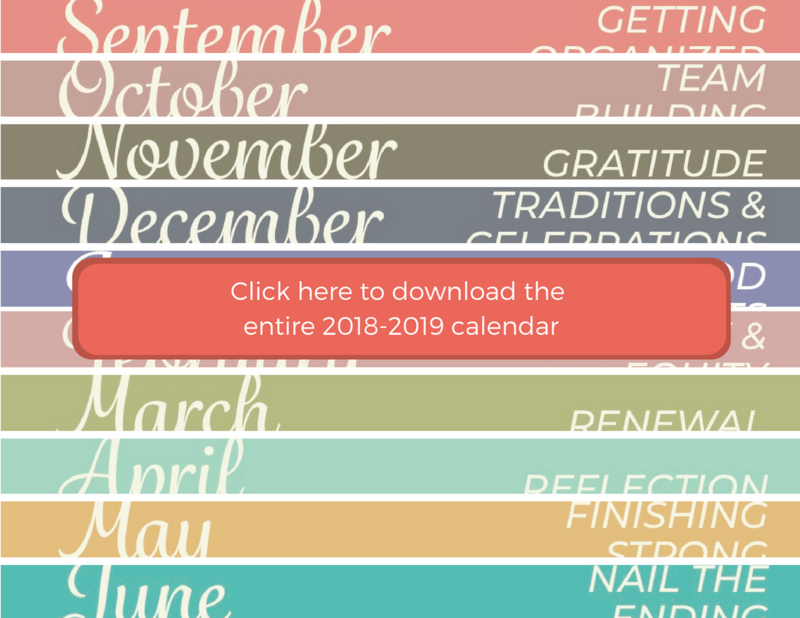 Click on an image below to download a pdf of either the first 3 months of the year or the full year-long plan. Are any of them contractors from an outside agency?